Jenny Edwards is a clinical pharmacist in the Medical Teaching Unit (MTU) at the Peter Lougheed Centre in Calgary, Alberta. Jenny is part of a multi-disciplinary Internal Medicine team that includes internists, resident physicians, nurses, pharmacists, and students. While completing her Bachelor of Science in Pharmacy, Jenny volunteered as a class representative for the Alberta Pharmacy Students’ Association (APSA). She was also a member of the Student Advisory Committee, assisted in the development of the Professionalism Program, completed curriculum review and amendment, and organized a pharmacy team for the CIBC Run for the Cure. After graduating from the Faculty of Pharmacy and Pharmaceutical Sciences at the University of Alberta in 2012, Jenny began a busy year of Pharmacy Residency with Alberta Health Services (AHS). 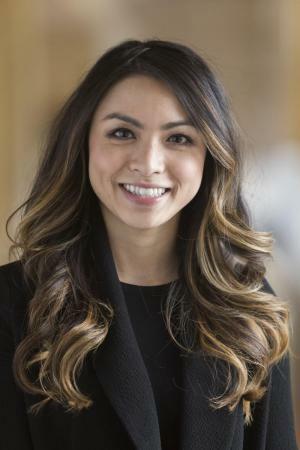 In addition to her clinical responsibilities and learning, she completed a clinical study on vancomycin dosing in pediatric patients that was published in the Canadian Journal of Hospital Pharmacy. Following a year of determination and progress, she was awarded the Alberta Hospital Pharmacy Residency Award (2013) and the Alberta Hospital Pharmacy Residency Project Award (2013). Recognizing the necessity of passing along her expertise and fostering excellence in others, Jenny has served as a preceptor to PharmD students, pharmacy residents, and undergraduate pharmacy students since graduation. She has volunteered for two years on the CSHP Symposium Planning Committee. She also has volunteered on several weekends as an OSCE evaluator for International Pharmacy Graduates and Naturopathic Doctors. Amidst her contribution to the development of others, Jenny continues to further her own development. She is currently involved in a number of research projects and completing her PharmD (Part-time Pathway) through the University of Alberta while continuing her full-time clinical responsibilities.